I’ve come to understand Rob Lepczyk’s interest through his photographs and a little bit through his writing. I have enjoyed my conversations with him and he has shared his knowledge of fly tying with me, helping to source materials. I really appreciate that. 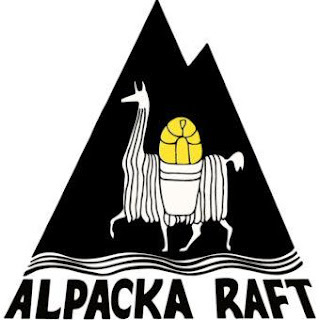 I know he works at a fly shop, hikes and camps in the forest; he does some salt-water fly-fishing and enjoys Tenkara. Without a doubt, I would say that we have more than a few things in common. Our interactions are through social media and I want to share Rob’s interest in Tenkara through different circles. I asked him for an interview which he promptly accepted. I hope you enjoy learning more about Rob Lepczyk, I know I will. Adam: It’s ok if I call you Rob right? Rob Lepczyk: Of course Adam! Adam: Cool. It’s never easy for me to get these started so I try to jump in there just like I’m meeting you for the first time. At least you know what I’m doing and I appreciate your sitting for this interview. 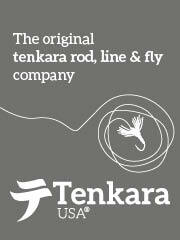 If you don’t know, I think you are interesting and positive for Tenkara. I enjoy your kind way from what I’ve read. Rob Lepczyk: It may be from my job. I work at a fly shop in Maryland called Great Feathers. I am the guide and help customers in the shop. We have three employees and we sort of all help each other. Four if you count the dog. Adam: You know I apologize; I probably should just follow a formula and just offer an open-ended question. One of the things that I try to do here is to maintain a little spontaneity, type down my thoughts instead of a recipe but I think I’ll back up a little and just put it this way. Rob Lepczyk: No big deal Adam, thanks including me in the interviews! Adam: You know I appreciate what you do, I’ve already said that. We both come to Tenkara with quite a bit of experience in fly-fishing. My focus in fishing has always been small streams but I do all kinds of fishing and I mean all kinds. One of my favorite disciplines is salt water fly fishing and I have come to understand that many people that are talented at fishing also have a interest in it. My favorite area is the Sea of Cortez, a 4 hour drive to the south of my home in mainland Mexico. Although I have not been fishing there in some time thanks to Tenkara, it is in my blood and I will never forget it. I drive down there in the middle of the night, wait for the international border to open, finish the last hour of the drive through the Mexican desert, so dry and like all those spaghetti westerns of the 70’s. Finally the deep blue color of the Mar de Cortez comes into view. I finish off the drive down the sandy roads to my favorite beach where there is an estuary inlet. I’ve done my homework and mapped out a tide that I want to meet. I want a low tide with a big swing. A big tide in my area is thirty feet and when it is running, that is an inch per minute rise. I have to be super careful when I hike out on a sand spit more than a quarter mile from the high tide line. It’s all about the logistics and knowing what the sea is doing and how it will cause the fish to react to it. Rob Lepczyk: Most of my saltwater experience has been flats oriented sight fishing for Bonefish, Permit and Tarpon. I caught my first bone when I was around 12 on a live shrimp in Key Largo, John Pennekamp State Park to be exact. This was back before the bonefish population crashed in the Keys. Locally, the Chesapeake Bay offers Rockfish (Striped Bass in MD, VA, NC), Bluefish and Redfish, but I rarely get out for that, a boat is handy and I don’t have a boat. 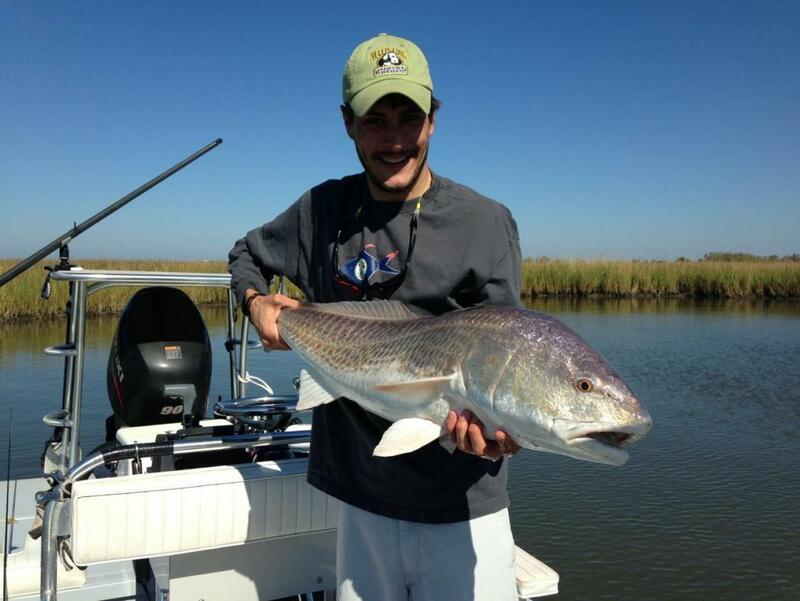 October 2014 I went to Louisiana for the first time to fish for Redfish. Holy crap, huge, dumb fish. It was like they had never seen a human before. Rob Lepczyk: Lefty is a true legend and wonderful person. He lives about 15-20 minutes down the road from the fly shop. He will come by the shop sometimes and hang out to BS. When he is not in “show mode” he is very down to earth and will talk for hours, he comes into the fly shop as just another dude, though, when customers see him in here it can be hard for them to control themselves. Adam: You probably didn’t know that this was not going to be all about Tenkara but it actually is. 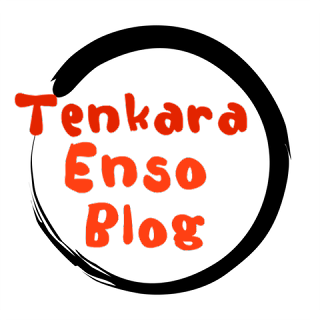 I have found through all the interviews that I’ve done that Tenkara was the reason but there are a lot of interests besides Tenkara. In my view of it, I see Tenkara as almost a perfect way to fish a mountain stream. Each component, as you know has been simplified, reduced to just the minimal aspect that will catch fish. Speaking of simplified components, I have recently seen a picture of your Tenkara kit. It is quite minimal and what others may call “traditional” where I just call it your style. Many of your basic components are sourced in Japan, crafted items like your net and scissors, your rod. Other items hand crafted too from other areas. I have a kit similar to yours. It consists of the basics, rod line and fly but other components are added in or taken away based on the length or distance away from the car. Rob Lepczyk: When I fly fished, I didn’t carry very much. I dropped the vest when I was 16 or so. I didn’t carry a net, wore a lanyard, got into small fly boxes, wet waded and fished small creeks. I read A LOT of John Gierach, which may or may not have been good at that age, but that’s how I learned how to small stream fish. In fact his book Fly Fishing Small Streams was exactly how I learned. But Gierach and his minimalist kits for tiny creeks, his backpacks and his coffee pots intrigued me. The stories of going into the mountains and fishing head water streams was what got me excited. So I ran simple for a few years, but then got bogged down in the bugs and an over-the-top fly tying obsession. Once I smelled out Tenkara in 2009 and bought an Iwana I had grand plans of Ultralight Backpacking around the world, not really, but you get what I mean. Though I didn’t use my new rod much at all, it was around then I started to work at the shop. I started to fish more than just trout. Carp, Bass, Atlantic Salmon and the salt were all on my radar and I needed different gear and kits for all of them. Two years ago I re-discovered Tenkara and splitting my gear up into packs for special types of trout fishing. Backpacking can be a separate sport all together for me, but I have an ultra-minimal kit for backpacking. Adam: I am gravitating to groups of kit. Lets say that I am going backpacking and I want to have a fire on my trip. I carry a saw to cut wood, tinder and matches to start the fire, a small grill for cooking and a “kitchen sink” to clean up but also to put the fire dead out when I leave. The saw, tinder, grill and sink are together, a component of my trip, if I want a fire, I know that these items are going with me, no need for anything else. This is a way that I look at activities. Tenkara has helped me hone this. I did practice efficiency before, only using what I thought was necessary but Tenkara and my look into it, researching has definitely helped me in focusing on just what is necessary. In this focus, I have often found that I am making better choices in everything that I do. Rob Lepczyk: I wouldn’t say Tenkara changed habits of mine, but it fits better into the system I have tried to hone. For me, Tenkara the technique or philosophy or whatever it is, isn’t about simplicity, it is about catching fish. But getting to the spots where I want to fish is far more enjoyable with a simple kit. Going light and in both fishing and backpacking have taught me that I don’t need very much to enjoy my time in the mountains. Adam: I hike quite a bit and this is where this shines and it has the effect that Tenkara and hiking go together quite well. It has really boosted the quality of my experiences in the mountains even when I am sixty miles from any trout. Most of us hike or backpack, we spend time in the mountains. I see that you do some camping, particularly hammock camping. I have not been able to come to grips with it. When I was in the Army, I spent a lot of time in the jungle and there where a lot of creepy things that lived on the ground and a hammock was a effective way of separating myself from the ground, I spent countless hours hanging out, sleeping and dreaming in a hammock. I also did a lot of hiking in the Army. I swore to myself that I would not get into hiking, no way, I spent too much time walking around the hills of Hawaii and foreign countries, I was ruined. 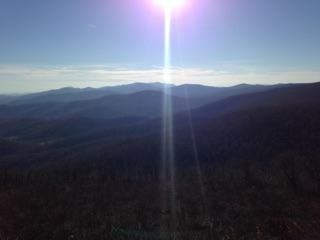 Funny, now that I am way past my service time, hiking is one of my favorite activities. I still have not gotten a hammock, I dig the tent systems and my air mattress? It is a luxurious sleep. I just haven't felt the need to use a hammock. Tenkara is filled with choices too. In choosing Tenkara equipment and techniques, are your choices black and white? Is it from experience, something you read or saw? Once you have decided, are you convinced of your decisions or do you remain open for consideration? Tenkara is such a compact fishing practice. There really isn’t much to it. Even with all the vendors and styles, it comes down to only a few choices or does it? I have a long background in fly fishing with light lines in small streams. I just transitioned to the long rod and researched techniques finding what worked for me. The equipment I adopted from the Japanese and the ultra light backpacking that I’ve done. Rob Lepczyk: When I fly fished, I didn’t fish many different flies. So when I picked up Tenkara, I quickly fell into the one fly thing, it wasn’t on purpose, just kinda happened. So I don’t need to carry many flies to happy. I carry a small box or wear a small wooden box on a lanyard around my neck. I think what I like most about using one fly is that I can skate or twitch my kebari on the surface or let it sink and pulse it underneath, the length and sensitivity of the rod allows me to move the fly the way I want. Something that is difficult with a shorter fly rod. Adam: I came to Tenkara from an intense background of focusing on small stream fly fishing. It was a natural progression to adopt the Tenkara philosophy. I could see in my writing, I was on a course of honing the simple way of fly fishing over the years getting much better about it. The year that I found out about Tenkara, my small stream fly fishing was quite simple. 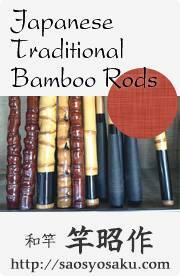 The hardest decision that I had to make was one where I either chose a sweet little bamboo fly rod that I made or a precise graphite rod that I chose the components. Everything else was the same, little fly box in my pocket with a small bottle of floating, nipper around my neck and maybe a brook bag for some whiskey and a sandwich. Flip flops, t-shirt and cargo shorts, oh, my jungle hat that was issued to me. All that was developed from my learning from a young man back in the 90’s. You actually remind me of him. At 18, he already knew what he “needed” and only carried what worked. This young man was less than half my age, been fishing far less than me but he was/is the best fly angler that I have ever meet and I have fished with quite a few talent people. Rob Lepczyk: My dad introduced me to fly fishing and fishing in general when I was very young. I have been using a fly rod for trout for as long as I can remember, never caught a trout on a spinner or bait. However, I would say I taught myself through fishing with a lot of people and traveling. I read a lot as a kid, every book I read that wasn’t for school was a fly fishing book. All I wanted to do was be a guide and fish all day long. Adam: As I get older, I’m finding that I enjoy a fishing partner. I’m completely happy alone, miles up a stream. I get lost in the stream, I forget about time, distance and get into the “zone” and after a while, I get thirsty or hungry or something that brings me out of it. I find a shady spot, put the Asahi (Japanese beer) in the stream, get the stove out, brew up some ramen, and eat, drink, savor. Afterward, if I’m tired or if there is time, I just lay down and crash. Rob Lepczyk: I rarely fish alone, but it won’t stop me if I can’t find someone to go with. I don’t like big groups. My self and a friend is about all I can handle, though I have fished with up to 5 other people. Adam: You work at a fly shop, I would be really happy to hear about it. I worked at an Orvis fly fishing shop for a while, I really liked it. Rob Lepczyk: Great Feathers is in an old tenant house that built around 1740. The porch has a concrete pad that laid in about 1912 and has chicken prints across the front. There is a restaurant across the street, Milton Inn, it was an acting school and John Wilkes Booth went to school there. The walls of the shop are about 2.5 feet thick and made of what we call Butler Stone, which is a certain rock that came from Butler Quarry a few miles away, many buildings in the area are made of Butler Stone. The upstairs of the shop is all fly tying stuff, Charles Jardine of England and author of many fly fishing books, said when he was visiting, that we had one of the finest selections of fly dressing materials in the world. We have been open for 23 years and use to sell the decoys and paintings of the owner, Michael Watriss, a two time world campion decoy carver and painter. Now we exclusively sell fly fishing stuff. Adam: Hey Rob, thank you so much for going under the knife with me. 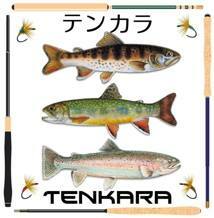 I really like what you bring to Tenkara in social media. I’m pretty sure I would like to fish with just you on a stream in the Smokey Mountains or in your area or if you visit mine. This is your time to write anything that you want, thank you very much for participating. Rob Lepczyk: Thank you for asking me to do this and including me in these interviews!